Ascend/Descend is a collaborative piece by MidConversation, (Laura Blake, Elizabeth Atherton & Lucy Crowder). 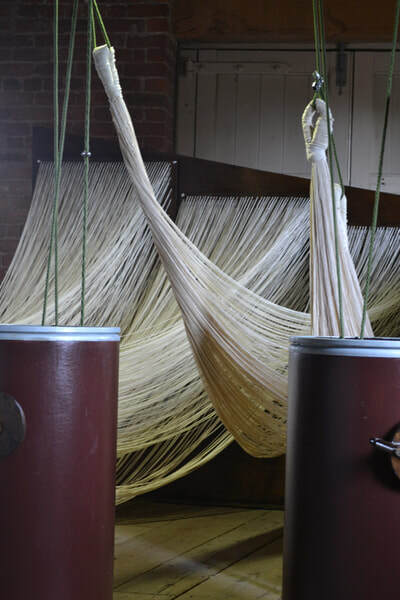 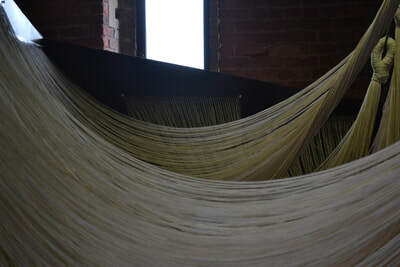 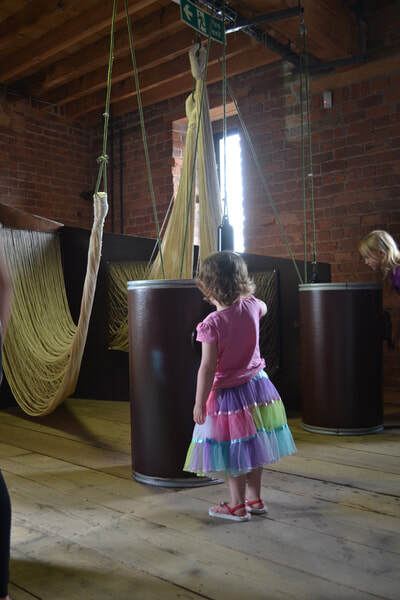 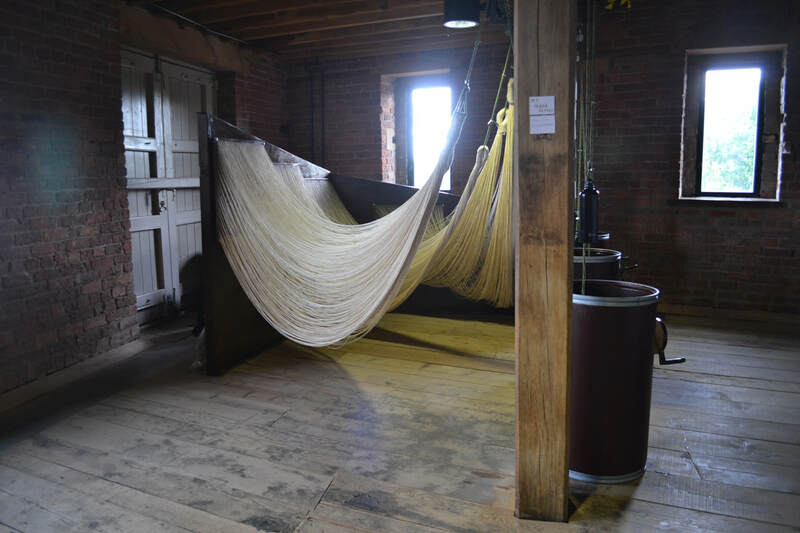 Featuring 15 miles of cotton yarn, the interactive installation responds to the historic looms at the Manchester Museum Of Science & Industry. Through a series of pulleys the piece becomes kinetic rising and falling to create form and reignites movement into the memory of the now static machinery. 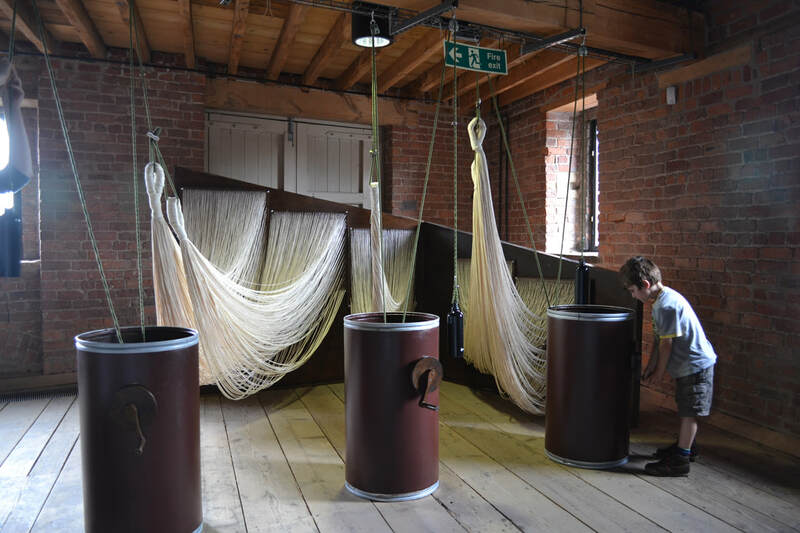 As the individually hand threaded cords move, they develop into distinct objects of magnificence that act as tools of historical and scientific education and a celebration of Manchester’s textile past. Cotton yarn, wood, pulleys, rope and other components. 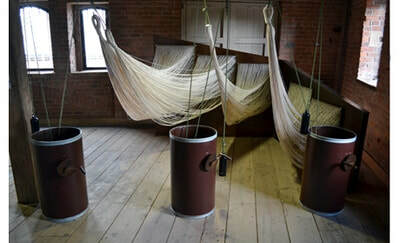 On display in Manchester Museum Of Science & Industry's 1830's warehouse, 2012.